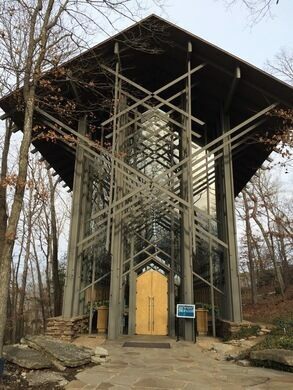 Thorncrown Chapel is a beautiful glass church located in the Ozark Mountains that looks conversely like something that either came from the future or was built by elves. Built in 1980 by E. Fay Jones, an architect who had apprenticed with Frank Lloyd Wright, the church is made almost entirely of materials taken from the local wilderness. The high-ceilinged nave stands 48 feet tall and looks as though it has not walls but is in fact enclosed by 425 separate windows covering over six thousand square feet of glass. On the interior of the structure, angular beams hang down from the peaked ceiling in perfect symmetry either honoring or mocking the natural symmetry all around. Thanks to its unique design, the chapel was actually granted National Historic Site status in 2000, a remarkable achievement since a site is generally required to exist for at least 50 years before even being considered. However the chapel’s impact on architecture and design pushed it past this qualification. It has also won numerous architectural awards. 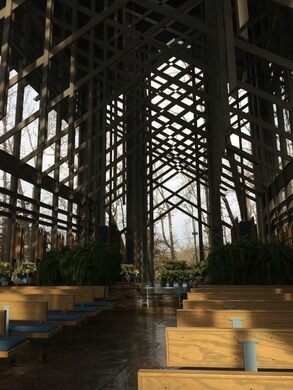 The Thorncrown Chapel has been open since its construction and has played host to visitors from all over the world. The magical space is still open for daily services as well as special events such as weddings, elven christenings, and time traveller landings.